Brando have started selling a neat battery concept for iPad 2 owners, that allows you to attach a spare top-up battery to the outside of your iPad 2 Smart Cover iPad 2 case. Providing an extra 3,000mAh to your iPad power supply. But have they missed a trick? As Gizmodo suggest if the actual Smart Cover was to become the battery itself , using each Smart Cover panel as a battery cell. That idea would surely take off and be a great device to help power your iPad 2 tablet for extended periods of time. Come on Apple add support so that your Smart Cover can actually recharge your iPad, heck why not add a few solar panels to the cover as well to keep the battery topped up while away from the grid, with automatic charging via the Smart Cover connections. 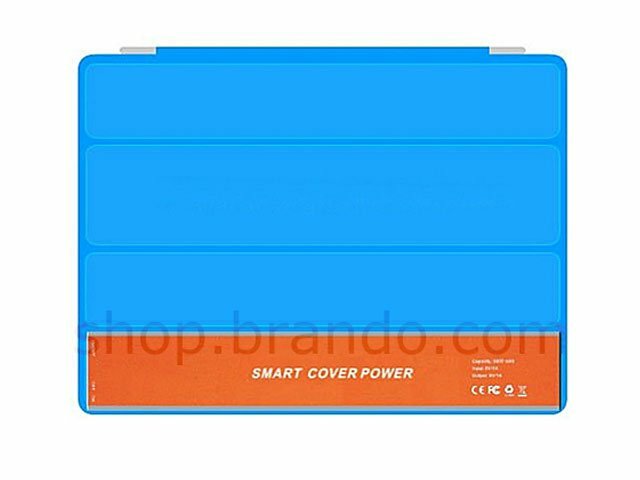 The iPad 2 Smart Cover battery is now available to purchase for $38 from Brando and will also provide power to your iPhone if required.